Don’t wait until the spring or summer to buy your new touring bicycle! Save yourself hundreds of dollars by buying your new touring bike in the autumn – when bike sales are slow and bike shops/manufacturers are dropping their prices in order to make space for the new models they’ll be selling in the New Year. Winter is coming, and that means many people around the world are putting snow tires on their bikes, hanging up their bicycles entirely and storing them away in their garages, or simply daydreaming about warmer weather. But autumn isn’t just a good time to hang up your bicycle and prepare for the winter months ahead. In fact, autumn is actually one of the best times of year to buy a new touring bicycle! Inside my best-selling book, “The Essential Guide To Touring Bicycles,” I not only explain the difference between touring bikes and so many of the other types of bicycles you currently see for sale in your local bike shops (such as road bikes, mountain bikes, hybrids, beach cruisers, etc. ), but I also explain why autumn is the absolute best time to buy a new touring bicycle. First of all, if you want to have a new touring bike by spring or summertime, you need to order your new bike now! Many touring bicycle manufacturers are small and hand-build their touring bicycles and/or need lots of time to buy the parts, assemble your bike and get it fitted together for you perfectly. Because of this, many touring bike manufacturers require that you order your bike as early as three to six months in advance! If you wait until spring to order your new bike, you might not get it until the end of summer! This is why, if you want to order a very specific bicycle (such as a custom-made bike like my Siskiyou touring bicycle from Co-Motion Cycles), now is the perfect time to do it! Order your touring bicycle in the fall and your new bike will be waiting for you by the time you’re ready to start riding it in the spring. Secondly, autumn is a great time to purchase a new touring bicycle because most bicycle manufacturers are preparing to bring their new bikes in for the following year. This means they are desperately trying to get rid of the models they currently have on hand. And because they’re so desperate to move their existing touring bicycles, bike shops and bicycle manufacturers alike will oftentimes drop the price of their touring bike models in the fall. So, if you’re willing to wait until the end of the year (when bike sales are slow), you can save yourself hundreds of dollars on a new touring bicycle. For example, I recently saw a $1,100 USD touring bike on sale at an REI store in Arizona for only $750 USD. 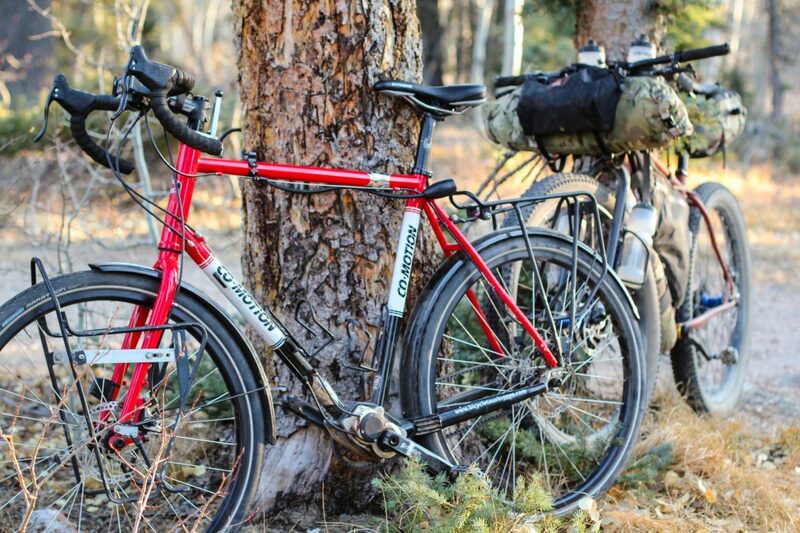 These kinds of deals aren’t always easy to find, but if you do a little digging (and calling around), it’s possible to save yourself $200-$500 USD or more off the regular retail price of your next touring bicycle by simply purchasing it in the autumn. October, November and even December are great times to buy a new touring bicycle! So, what are you waiting for? Once you’ve decided on your dream touring bicycle, make the phone call to your local dealer and place your order ASAP! Don’t wait until spring or summer when everyone else is trying to buy their new touring bike at the very last minute. Use the autumn to your advantage. Order your new bike today and save yourself hundreds of dollars in the process! 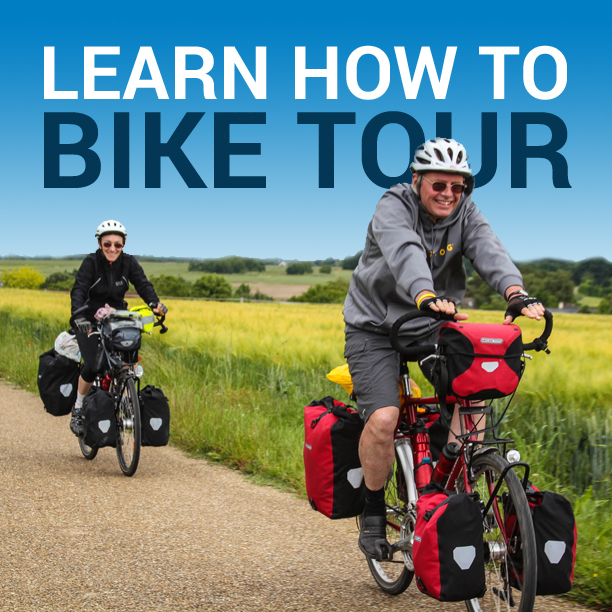 This entry was posted in Bicycle Touring Pro - Webinars, Bicycle Touring Pro Articles, Bicycles, Featured Articles, Featured How-To Articles, Main Articles, Main Featured Articles, Podcast, Touring Bicycles, Uncategorized, Videos and tagged autumn, best time of year to buy a new touring bicycle, fall, new touring bicycles, touring bicycle, touring bicycle buyers guide, touring bicycle for sale, touring bicycles, when to buy a touring bicycle, where to buy a touring bicycle.